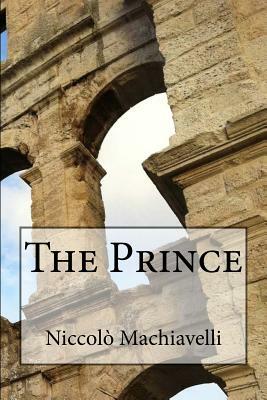 The Prince (1532) By Niccol Machiavelli Machiavelli's The Prince is a practical guide to tyrannical ruling (although some scholars argue the book is a satire). It is among the first works of modern political philosophy, describing a world in which the effective truth is taken to be more important than an abstract ideal. It is dedicated to Lorenzo de' Medici, the ruler of Florence, and written in a simple style. Its main themes are: politics, war craft, and popular goodwill. The first chapter defines types of principalities and princes, providing an outline for the remainder of the work. Chapter III describes how to maintain composite principalities - either newly created or annexed from another. From Chapters IV-XIV, Machiavelli offers advice on routes to power, how to acquire and hold new states, how to deal with internal insurrection, alliances, and maintaining a strong military. Italian Renaissance historian, politician, diplomat, philosopher, and humanist Niccolo Machiavelli (1469 - 1527) was called the founder of modern political science. He was also a senior official in the Florentine Republic in diplomatic and military affairs. He wrote comedies and poetry. He wrote his most renowned work The Prince (Il Principe) in 1513. -Machiavellianism- is a negative term to characterize unscrupulous politicians of the sort Machiavelli described most famously in The Prince. Machiavelli described immoral behavior, such as dishonesty and killing innocents, as being normal and effective in politics.